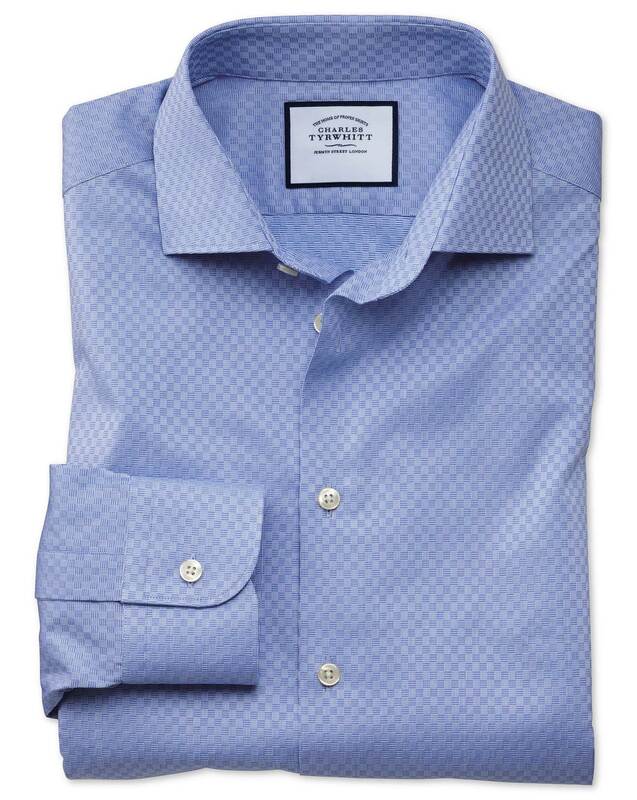 "Made from mid-weight 100% cotton with a subtle sheen, styled with semi-spread collar and no front placket for a modern Business Casual look"
Great styles, fit and fabrics. Looks like this shirt is not the same quality as the regular ctshirts I always buy. Definitely the material is thinner and not as good as the usual. I checked and is not made in the UK anymore. Made in Pakistan. Very disapointed of the quality. All my shirts in my closet are CT shirts. Time to go shopping somewhere else. What happened to the good quality? Perfect fit and very nice quality construction of the garment.